Sidney Bechet (1897 – 1959) was a virtuoso soloist on the clarinet and soprano saxophone, known for soulful improvisations and a distinctive use of vibrato. 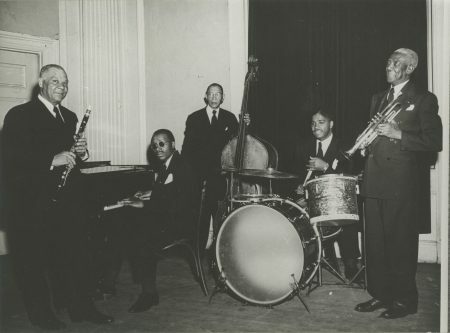 His lyricism and emotive style influenced generations of reed players behind him. 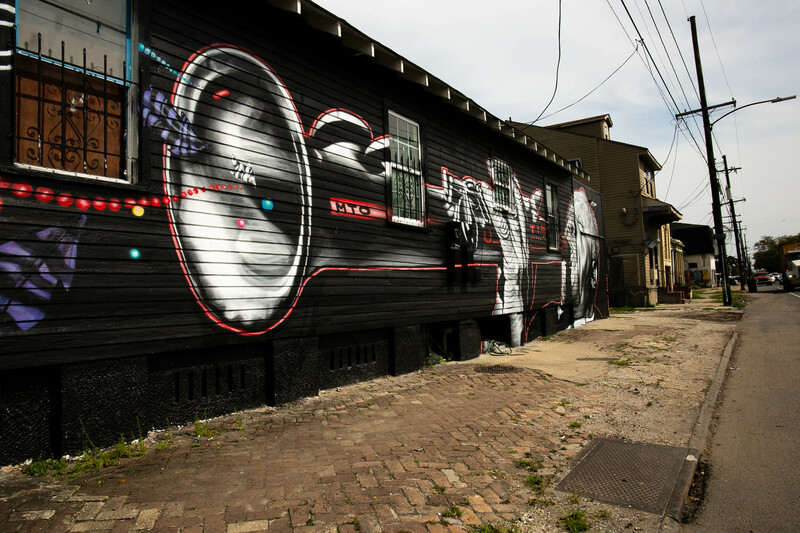 Bechet grew up here in the Seventh Ward, in a middle-class creole family. 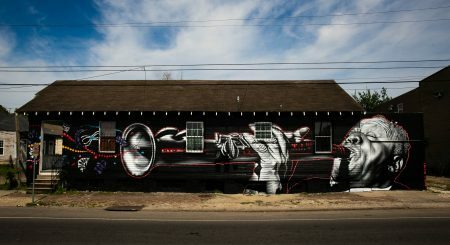 A child prodigy, Bechet began playing with his older brother and, to his parents’ chagrin, quickly took to the nightlife, gigging in Storyville and honky tonks like the Red Onion. Before long he caught on with the leading bandleaders of the day. 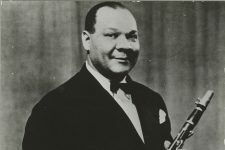 In the 1920s Bechet became a sensation in Europe but was deported from France after being jailed for his involvement in a shooting. 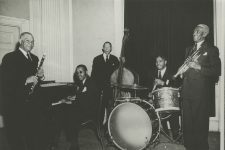 In New York in the 1930s he recorded with various outfits, including a version of “Summertime” in 1939 that was an early hit for the Blue Note label. This mural on North Claiborne Avenue was painted in 2018 by the graffiti artist MTO, which is reportedly short for Mateo. 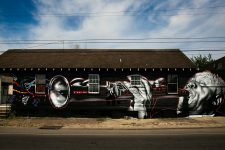 He’s a French national, which might explain his choice of subject: in the 1950s Bechet returned to live in France, where he was hailed as a cultural icon. Bechet’s remarkable autobiography, Treat It Gentle, includes the story of an enslaved ancestor of his participating in the gatherings at Congo Square – a lineage central to his self-conception, even while living an ocean away from the segregated South. From WWOZ's Tricentennial Moments: the story of Sidney Bechet's debut. 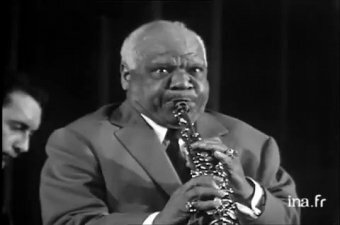 Sidney Bechet performs "I've Found a New Baby" in 1958. 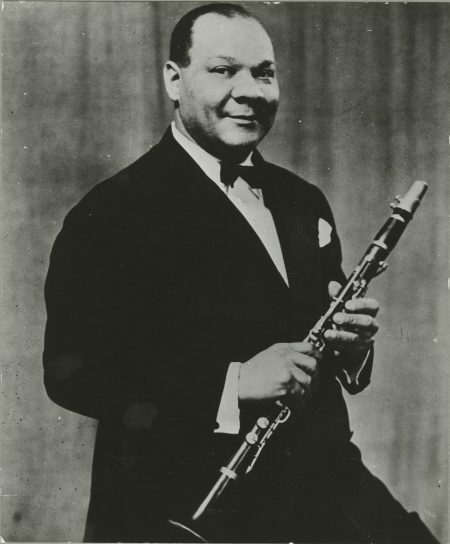 Sidney Bechet live from the Cannes Film Festival in 1958. Sidney Bechet mural by MTO on North Claiborne Avenue in 2019. Sidney Bechet mural by MTO in 2019. 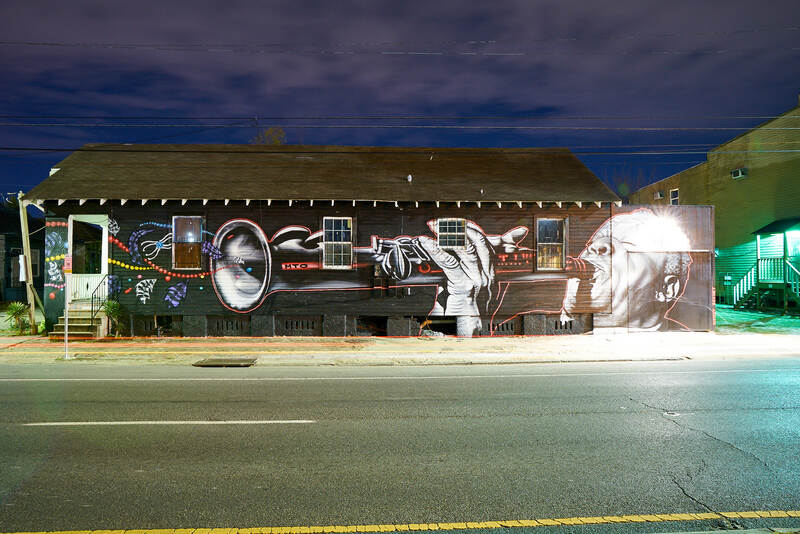 Sidney Bechet mural by MTO viewed looking up North Claiborne Avenue. 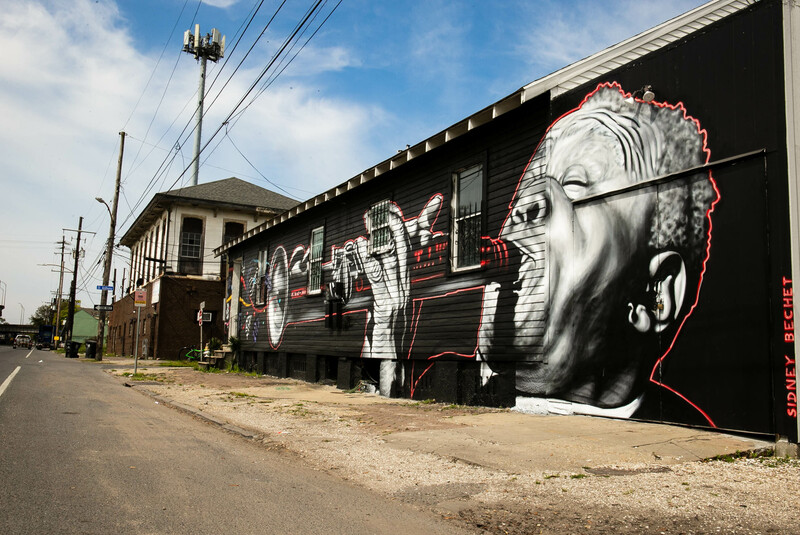 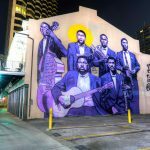 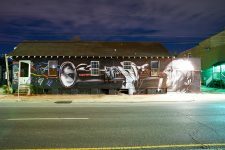 Sidney Bechet mural by MTO viewed looking down North Claiborne Avenue in 2019.